IN A win for consumers and branded beef producers, premium grassfed and grainfed beef products could soon be identified and verified using a simple forensic test. Raman spectroscopy, which is used in forensic chemistry to identify molecules, could be used to help verify and certify premium beef products, according to researchers from the NSW Department of Primary Industries and Charles Sturt University. 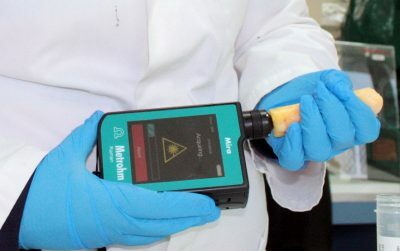 NSW DPI meat scientist, Stephanie Fowler, said the technology was particularly suited to overseas markets where adulteration and substitution issues could compromise the integrity of Australian beef. The technology could help protect the integrity of premium products in high value markets, Dr Fowler said. 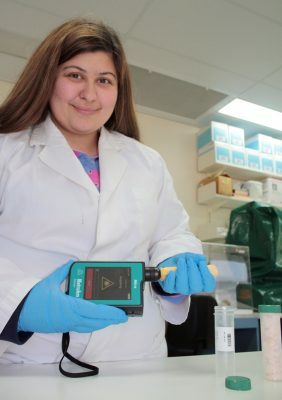 “Consumers need to feel confident they are getting what they pay for and Raman technology, which is a hand-held laser device, could deliver the correct analysis in real-time during processing,” she said. Raman spectrography uses a laser to interact with the chemical bonds of the product. CSU post-graduate student, Bridgette Logan has won a scholarship from the Australian Meat Processors Corporation to deliver the three-year project, funded by Meat & Livestock Australia. “Clearly it’s important to be able to verify grass and grainfed beef and Raman offers a timely, cost-effective process,” Ms Logan said. Phase one of the project started this year and researchers have already identified extremes and set parameters for grainfed and grassfed products. “The aim is to develop the technology to a point where we can trial it in the field and ascertain how rapidly the technology can be delivered and adopted,” Ms Logan said. Scientists have adopted Raman spectrography as it allows them to identify the different chemical profiles of grain and grassfed beef, including important beta carotene and fatty-acid profiles, which vary across the two production systems.